Staff, location, view, how spacious it was, balcony and terrace! Maria was amazing, helping us with everything we needed. The rooms are very clean and it's a very quiet and relaxing location. Everything was as expected to be. The room had a sea view, very clean and in a quiet area. (you can hear the waves from your bed). 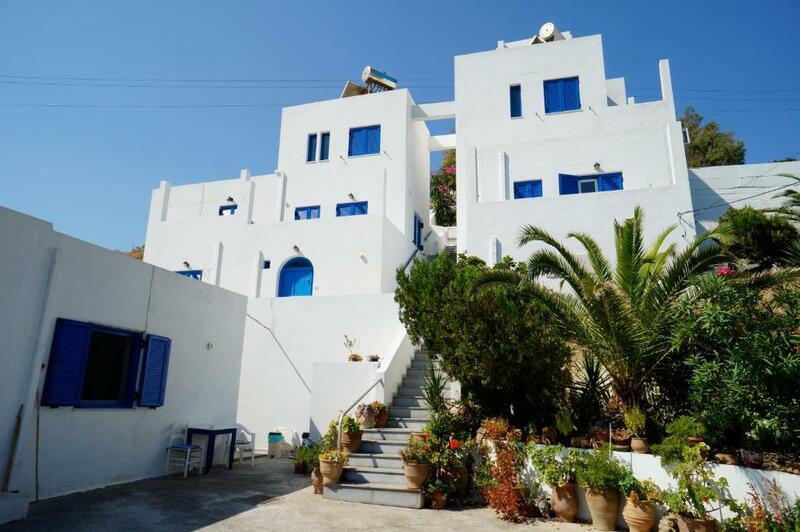 Lovely apartment with great sea views from every room, very kind and helpful staff, the area is very quiet and position is perfect to get Sitia and Vai beach. The host is very kind! She didn't speak english, but we could arrange everything with no problem. She even offered us food as we were leaving! The place is amazing. 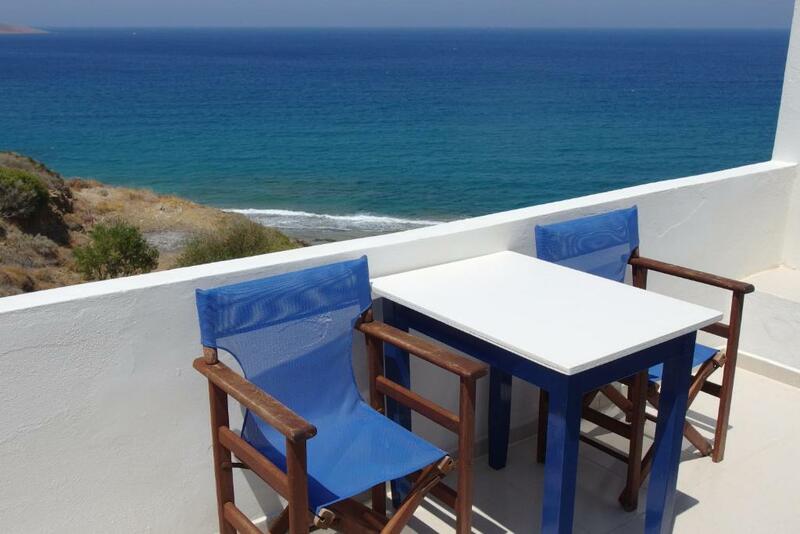 It's spacious and clean, with a fabulous view over the sea. 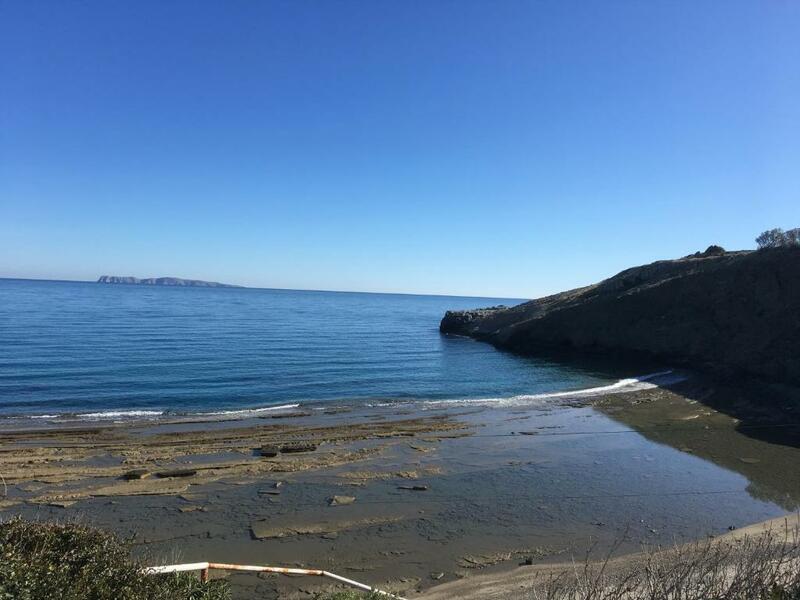 It's situated on the outskirts of Sitia, but I wouldn't say that the place is isolated: there is a road that separates the houses from the sea. In spite of this fact, it's not noisy at all, the only sound you hear is the wash of waves. 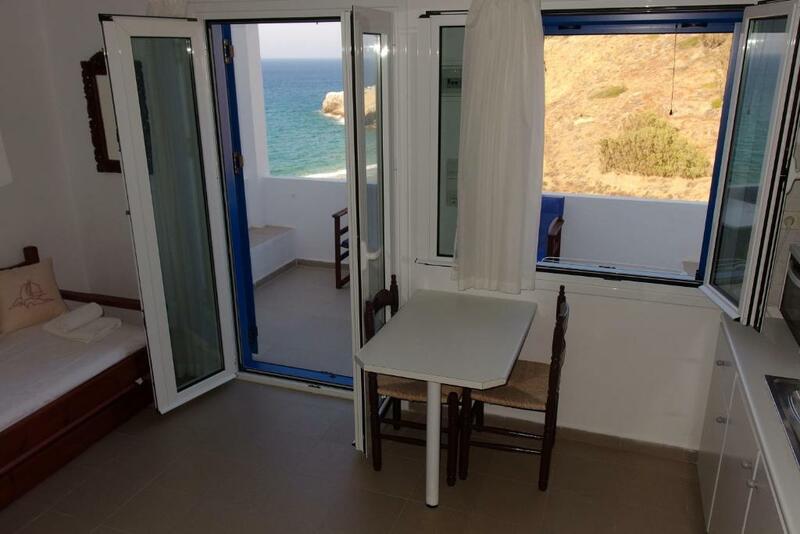 But note that the nearest beach is a 5-minute walk to the left of the apartments as the coast right in front of the houses is not suitable for swimming and sunbathing. Lock in a great price for Ploimon Apartments – rated 8.9 by recent guests! 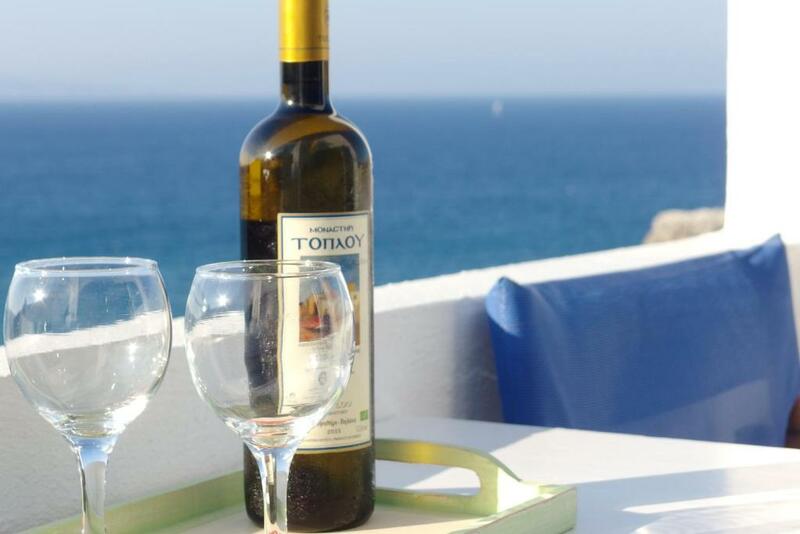 One of our best sellers in Sitia! Located 50 feet from the sea in Tripitos and 0.6 mi from an organized beach, the family-run Ploimon offers air-conditioned apartments with balcony overlooking the Cretan Sea. Featuring simple decoration with traditional touches, all the air-conditioned apartments feature a kitchenette with cooking facilities, electric kettle and fridge. A seating area with TV is provided in all units at the Ploimon Apartments. The center of Siteia with shops and restaurants is 0.9 mi away. 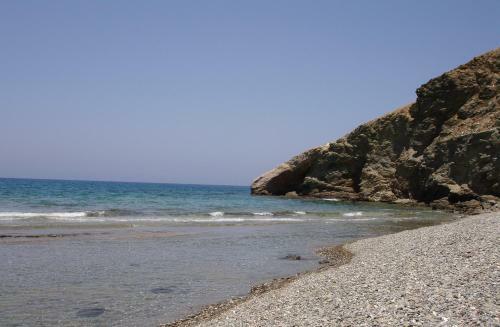 The famous Vai Beach is 11 mi away while Toplou Monastery is at a distance of 8.7 mi. Staff can help with car rentals. When would you like to stay at Ploimon Apartments? 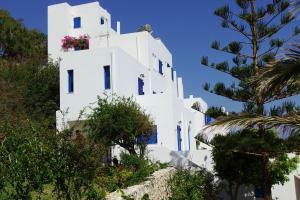 66 feet from the sea, this air-conditioned apartment offers balcony overlooking the Cretan Sea. A kitchenette with cooking facilities, electric kettle and fridge is included. House Rules Ploimon Apartments takes special requests – add in the next step! Ploimon Apartments accepts these cards and reserves the right to temporarily hold an amount prior to arrival. Guests are kindly requested to inform Ploimon Apartments of their arrival time. Please inform Ploimon Apartments of your expected arrival time in advance. You can use the Special Requests box when booking, or contact the property directly using the contact details in your confirmation. Beforehand; It's important to say: considering the price, it is good value. Negatives: small bathroom, unusual smell in the apartment. The location is a small distance from the main town of Sitia and would require a car for transport, as it is off a small road coming off the motorway- not walkable. Not a problem for me as I loved the quieter location, but to keep in mind if you plan on staying out late! Very welcoming host family that live at the bottom of the complex of five apartments, each with its own balcony/patio. The one I stayed in was at the top (only stairs), and it was a lovely welcoming and clean flat, with lots of natural light and overlooking the sea. Wonderful views sitting out on the balcony during daytime and perfect for stargazing at night. I would say the pictures on booking.com are entirely spot-on. The host family were also wonderful in accommodating us with free beach towels to use, in additional to the linen they already provided. The shower was a bit uncomfortale beacuse it is very little, but the place is worth the effort! Beds not comfortable. No A/C in living room. No TV in bedroom. Climbing 67 steep steps with luggage to reach the appartment, and feeling in danger of falling to a certain death when venturing down the stairs again. The house is situated in the «middle of nowhere», a long walk from the beach and a 30 minute walk to the shops. The apartment is old and not very nice. The bathroom is the tiniest we’ve ever been in. And not once during our 3-day stay were the toilet and trash buckets emptied. The hosts seemed friendly but didn’t understand English at all. 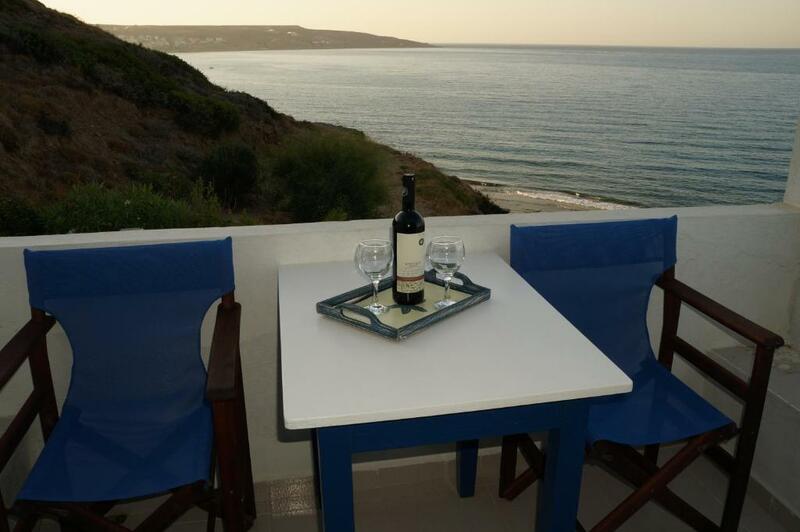 Next time we visit Sitia we’ll definitely stay somewhere else. The sea view was very nice. A road to the beach or to the town doesn't have a pavement. The location was gorgeous, at the end of a street on a hill with view on either side (many windows). We stayed at the top floor apartment, two terraces with sea view. ABSOLUTE SILENCE (we loved that) and a perfect place to relax. Arranged simply and cozy, in purely Greek style. 2km from Sitia and 30 minutes from Vai Beach. Showers do take a little longer to gain pressure and heat.